Will Fenton is the Director of Scholarly Innovation at the Library Company of Philadelphia and the Creative Director of Redrawing History: Indigenous Perspectives on Colonial America. 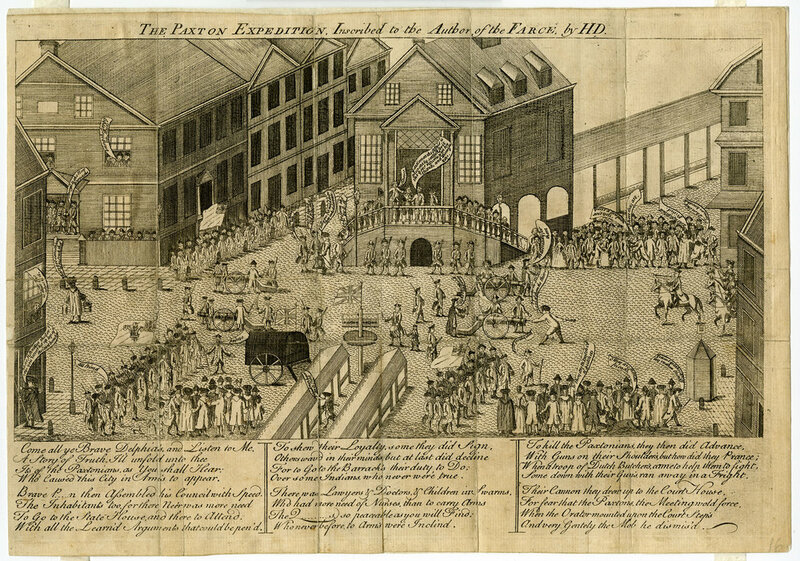 The Paxton Expedition, Henry Dawkins, 1764. I wrote a stubbornly traditional dissertation. Unlike Nick Sousanis, who created a riveting yet rigorous comic book, or Amanda Visconti, who produced a participatory digital edition, my digital project, Digital Paxton, was less a re-imagining than a translation of my dissertation. So what am I doing here, presenting at a panel on reimagining the dissertation? 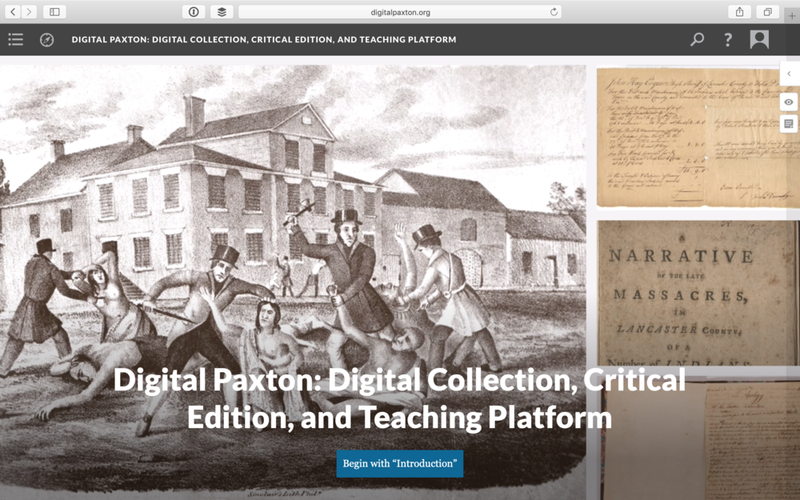 In discussing my work on Digital Paxton, I want to begin to think about how PhD students who choose to write traditional dissertations can use digital projects to begin reimagining their research. One way or another, PhDs must reimagine their dissertations for alternative publics, or, at the very least, an audience beyond their committees. Often, it’s an article or two, and, eventually, a revised scholarly monograph. For me, that reimagining began alongside my dissertation through digital tools and will continue after its submission through a series of public programs supported by a major grant from The Pew Center for Arts & Heritage. I developed Digital Paxton as a companion to a dissertation chapter on Charles Brockden Brown, whose fiction I read against the backdrop of a Philadelphia print debate, the 1764 Paxton pamphlet war. 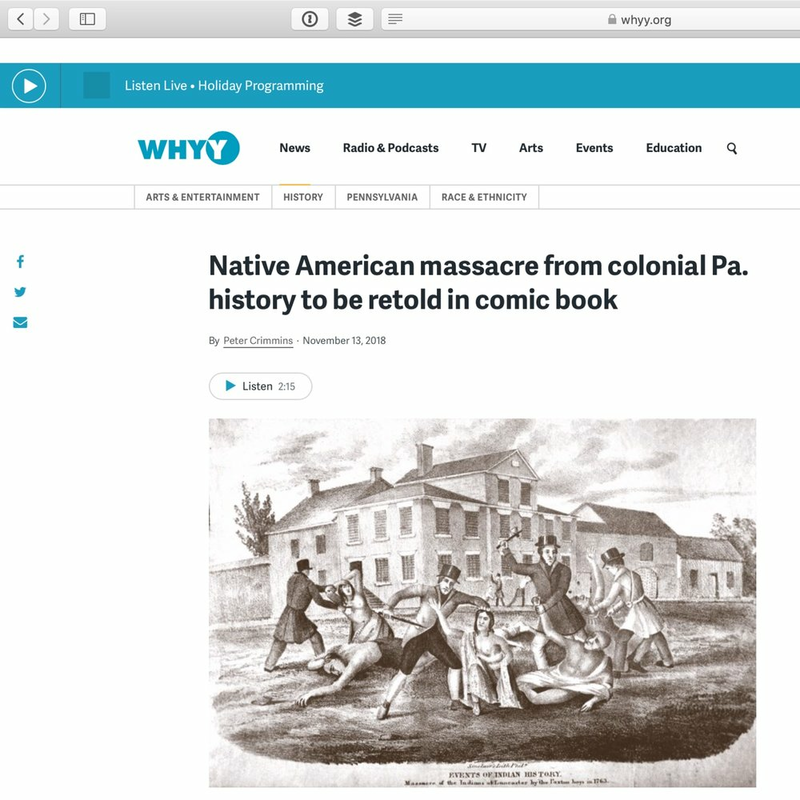 This incident wasn’t only Pennsylvania’s first major pamphlet war; it was a watershed event in settler colonialism in the mid-Atlantic as well as a harbinger of nineteenth century indigenous dispossession and westward conquest. The incident began in the Paxtang township, just outside of what is today the capital of Pennsylvania. In December 1763, backcountry vigilantes murdered 20 unarmed Susquehannock Indians. A month later, hundreds of these “Paxton Boys” marched toward Philadelphia to menace refugee Indians under the protection of the government. The marchers were stopped six miles north of Philadelphia by a delegation led by Benjamin Franklin. But this was just the beginning of the war for public opinion. Supporters and critics of the Paxton Boys spent the next year battling in print, in a debate that was not so different from the Twitter wars of today. Literary scholars including Edward White, James P. Myers, Jr., and Scott Paul Gordon have demonstrated that the diverse forms and idiosyncratic rhetorical techniques of these records present a bounty for literary scholars. Pamphlets are written as dialogues and epitaphs, poems and songs, satires and farces. They’re flourished with evocations of “White Christian Savages,” troops of “Dutch Butchers,” and Quakers “thirsting for the Blood” of opponents. Such generic and literary features have sparked and kindled my interest, and I suspect they will captivate future literary scholars. As I dug deeper into the Paxton materials at the Library Company of Philadelphia and the Historical Society of Pennsylvania, I saw how much of the incident wasn’t accessible in the de facto print edition, and could not be evaluated within the narrow frame of the pamphlet war. To be fair, the existing edition is bound by the form of print. Tallying 400 pages, The Paxton Papers (1957) is a significant—and substantive—scholarly edition. But what if one wasn’t bound by the constraints of codex? What else might we choose to include in twenty-first century Paxton Papers? I developed Digital Paxton to engage these questions. In the process, I found that I was unwittingly creating a digital project that both unsettled the conventions of a scholarly edition and blurred the boundaries between an edition, a collection, and a teaching tool. My first realization was that Paxton pamphlet war was a lot more than pamphlets. In fact, much of the debate unfolded outside of print. 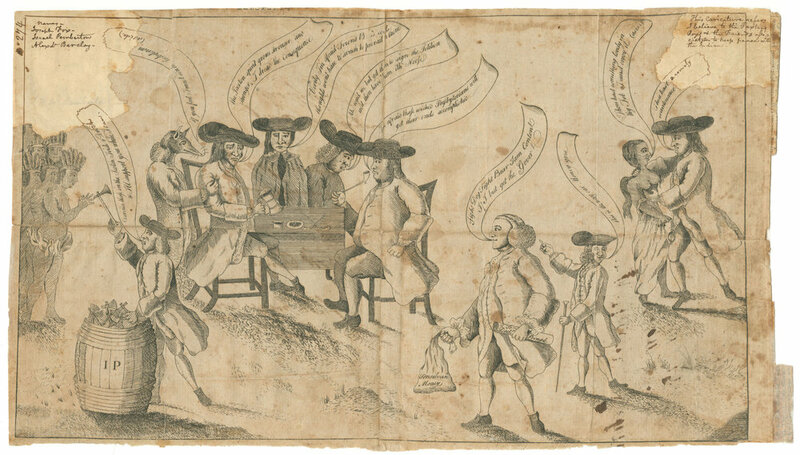 Alongside a wealth of newspapers, books, broadsides, and political cartoons, there are dozens of diaries, letters, and treaty minutes that not only place the massacre in a longer debate about colonial settlement, democratic representation, and racial identification. These manuscript records also unsettle the singular authority of printed colonial records. For example, the political cartoon “Franklin and the Quakers” doesn’t make a lot of sense without some understanding Quaker-native diplomacy during the Seven Years’ War. That is, if researchers are to reckon with this massacre’s geographic, ethnic, and class complexities, they need access to manuscript materials that give voice to the backcountry settlers and the indigenous peoples at the center of this tragic episode. Certainly, if I were writing a book or an article, I would signpost these challenges and cite evidence of erasure. I do so in Digital Paxton through contextual essays and teaching materials. However, the utility of a digital project is that it can convey such limitations through its use. That is, Digital Paxton has enabled me to reimagine and recreate the methodological challenges of my dissertation for the publics who visit the site. The project uses distortion—most especially gaps—to subvert any sense of definitiveness. For example, I have selected letters from Haverford’s Friendly Association collection that allude to lost pages and missing correspondence because I want visitors to grasp, experientially, the limits of the archival project. As important as the diversity of materials is the structure of the collection. The design of the online publishing platform Scalar encourages researchers to draw connections between and across collections. Specifically, Scalar’s flat ontology enables all objects to occupy the same hierarchy. In practical terms, this means that researchers encounter Governor Penn’s letters in the same pathway as they do letters between Quaker leaders and native partners, accounts of diplomatic conferences, and the writings of Delaware tribal leaders. I think this is the allure of the digital edition: when thoughtfully structured, digital editions can accommodate a constellation of material forms, voices, and perspectives. But let me be clear: design and context can only do so much to address archival silences. That is, the tension I have continually faced is how to tell the story of a colonial massacre, mediated through colonial documents, in a manner which doesn’t simply reproduce colonial biases, assumptions, and erasures. In terms of Digital Paxton, I feel I may have reached the limits of a digital collection, scholarly edition, and teaching platform. But what if we could imagine a perspective on the Paxton massacre that, given the genocide of the Susquehannock, could not be retrieved? That is, what if, instead of telling a story about the Paxton vigilantes, we sought to tell a story about the Conestoga, their fortitude, and their formative role in the history of colonial Pennsylvania? To take up that challenge, I co-authored a major grant application with the Library Company of Philadelphia. The resulting project, Redrawing History: Indigenous Perspectives on Colonial America, is comprised of three public-facing components: an educational graphic novel, a national educators’ seminar, and an exhibition, accompanied by a series of programs. If Digital Paxton enabled me to reimagine my dissertation as I was writing it, Redrawing History will challenge me to envision its afterlife, to collaborate with new stakeholders who will reinterpret the project for non-specialists. The graphic novel is central to such critical and creative reimagining because it empowers our indigenous creative partners to explore, question, and reinterpret—to “redraw”—the historical records accessible in Digital Paxton. 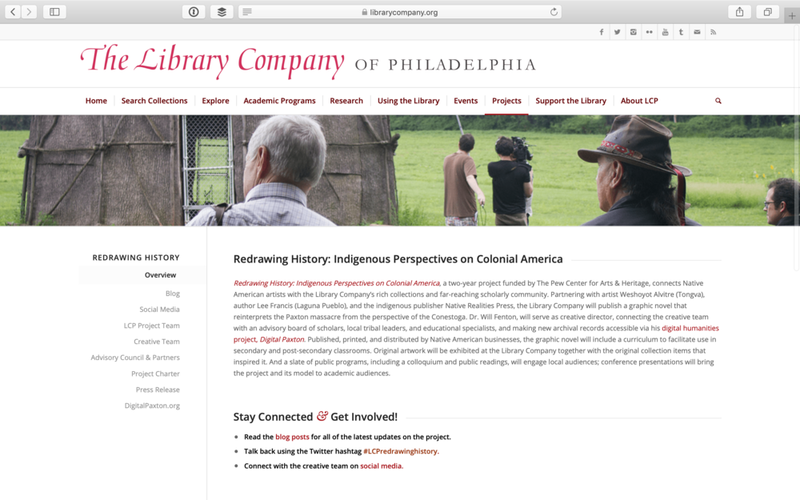 In addition to an advisory board comprised of specialists from the Gilder Lehrman Institute of American History, Free Library of Philadelphia, and University of Pennsylvania, the project also includes leadership from the Delaware Tribe and local indigenous communities at the Circle Legacy Center. Notably, the graphic novel will be written, illustrated, and published by Native American artists: Dr. Lee Francis, a member of the Laguna Pueblo, will write the script; Weshoyot Alvitre, a Tongva artist, will illustrate it; and Native Realities Press will publish and distribute the graphic novel to all 573 federally-recognized tribes. The book will be available this fall, with a free, open-access version available online. 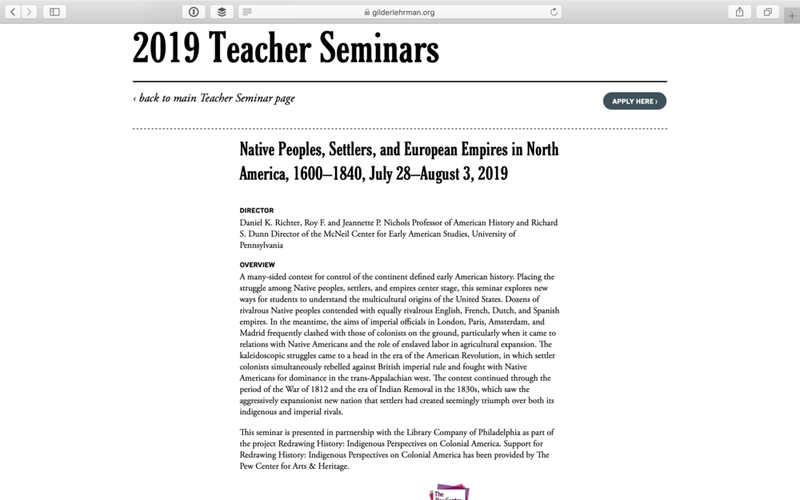 Meanwhile, this summer the Library Company will partner with the Gilder Lehrman Institute to host a national educators’ institute. We’ll produce a teaching curriculum, keyed to common core standards, equipping public high school teachers with everything they need to bring our graphic novel into their classrooms. The curricula will be folded into the back of the novel and made freely accessible online. Finally, between this fall and next spring, I will curate an exhibition of the graphic novel’s artwork juxtaposed against the diverse historical records available at the Library Company. Alongside that exhibition, we will offer programs through which the public may discover the project and meet our artists and advisory board. As with the book and educational curricula, the exhibition will be free and open to public. While I have discussed the Redrawing History as a post hoc reimagining of my dissertation, I want to close my talk by staking out what might be two contentious positions regarding grant-writing and the process of taking an esoteric project public. I understand that grant-writing is often considered an onerous task that distracts from the very kind of work we entered this profession to pursue. Believe me, I would much rather write about Charles Brockden Brown than draft a memorandum of understanding. Moreover, I have trepidations about institutions that rely upon term-limited grants to develop sustainable projects. That said, at an individual level, I’ve found grant-writing to be incalculably clarifying. Co-authoring this grant with the Library Company challenged me to think specifically about my audiences, how I propose to reach them, and why I believe my research is urgent. As a newly-minted Ph.D., I know how difficult is to do write a dissertation, teach, publish, attend conferences, cultivate professional networks, and apply for jobs. Given the daunting list of things we’re told that we need to succeed, there’s little time or incentive to consider public engagement. Nevertheless, both Digital Paxton and Redrawing History have enriched my research, broadened my professional networks, and enabled me to share my work with new audiences. There’s no way I could have translated Digital Paxton from a labor of love into a public resource without the support of a vast network of interdisciplinary experts. That includes librarians, archivists, and technologists who have helped me to digitize, catalog, and ingest records. Equally important has been the counsel of historians, whose aid I have solicited to curate an exhibition, whose scholarship I have edited for the project’s critical apparatus, and whose lessons I have sought as teaching resources. Also importantly, this project has opened new opportunities for me to share my own research. This includes presenting my work at venues as wide-ranging as American Quarterly, the Philadelphia Inquirer, and my local NPR affiliate, WHYY. In the context of anemic public funding, shrinking enrollments, and deep-seated skepticism of humanistic inquiry, I am convinced that pursuing other modes of engagement, such as digital projects or public art, can enable scholars to reimagine both the stakes and forms of our work. The reward is the process: collaboration is necessarily coalitional, and with each new effort we enlist support of new stakeholders and engender goodwill with future allies. I hope that Digital Paxton and Redrawing History advance our common cause in some small way. Thank you for your time. Delivered at “Reimagining the Dissertation” at the 2019 Modern Language Association Annual Convention. Special thanks to Jordan Windholz and James Van Wyck for reviewing earlier drafts of this talk.